Golf rounds might have been down in the double digits for April as they have been for a few months now, but softness in the sport’s participation had no bearing on Perry Ellis International’s golf sales in the first quarter. The company saw total revenues rise 5.4 percent to $255 million from $242 million in the first quarter of fiscal 2018, with golf apparel one of the main drivers behind the revenue growth. In addition to Perry Ellis’ own golf apparel lines and separate brands, the company licenses trademarks from such stalwarts as Callaway, PGA Tour and Jack Nicklaus, all which helped the company deliver a solid first quarter, with Callaway Golf Co.’s sales growth of better than 25 percent leading the way. In other words, Feldenkreis said, how many rounds of golf are being played nationally has little bearing on the “golf sportswear lifestyle,” and Perry Ellis is targeting that market for its wide range of performance wear, tops, bottoms, knits and other golf garments. Perry Ellis reported GAAP pre-tax income was $13.1 million compared to $14.5 million in the first quarter of fiscal 2018, and adjusted pre-tax income rose 7.6 percent to $15.6 million from $14.5 million in the first quarter of fiscal 2018. Adjusted net income per share, diluted, of 78 cents, ahead of Wall Street’s consensus estimate of 67 cents. GAAP net income per diluted share, was 66 cents. Perry Ellis, whose shares were up 4 percent in late afternoon trading Thursday, maintained revenue and earnings guidance for fiscal 2019. The company expects total revenue to be in the range of $855 million to $865 million, which compares to “core business” sales of $844 million in fiscal 2018. Diluted earnings per share are currently expected in the range of $1.80 to $1.90, which compares to “core business” adjusted diluted earnings per share of $1.70 in fiscal 2018. The company said “core business” is fiscal 2018 sales and earnings minus any sales, income and losses related to the transition of the Laundry dress business to a license model and the elimination of Bon-Ton sales due to its bankruptcy and liquidation. 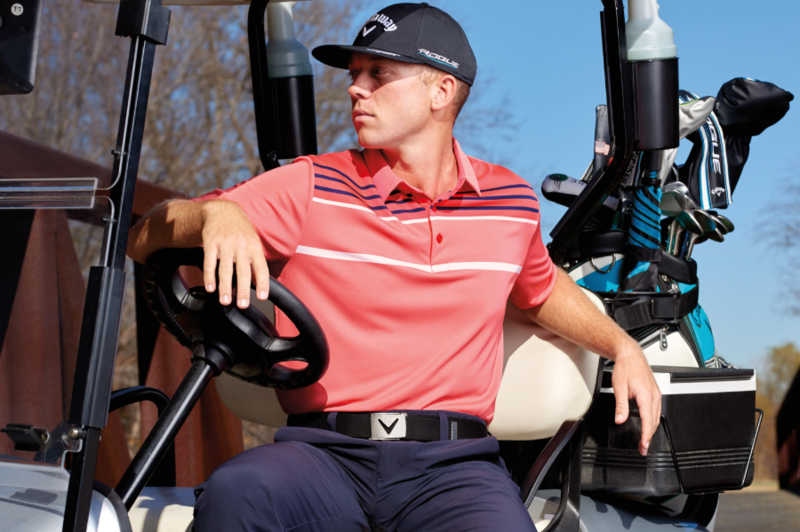 Golf apparel performed well to begin the fiscal year, and the segment is at the center of the positive outlook for Perry Ellis to finish it as well, with some new Callaway products coming online in the third and fourth quarters, Feldenkreis said. “In looking to the second half of the year, the new Callaway fall 2018 weather series collections pre-booked extremely well and will allow us to further gain market share and make the golf lifestyle all year-round business,” he said. This stems from some recent developments regarding the company’s founder, former CEO and biggest shareholder, George Feldenkreis, who earlier in May nominated four people to the apparel-maker’s board of directors just a few months after he offered to buy the entire company. Feldenkreis, who continues to serve on its board, nominated Perry Ellis’ current CEO and his son, Oscar Feldenkreis, and three other external candidates to overhaul the board and stand for election to the Perry Ellis board of directors at the 2018 annual meeting of shareholders. The board currently has seven members. George Feldenkreis a week later sent a letter to Perry Ellis’ board reiterating his offer to buy the company at $27.50 per share. SGB will continue to monitor this developing story. Perry Ellis International’s brands include: Perry Ellis, An Original Penguin by Munsingwear, Laundry by Shelli Segal, Rafaella, Cubavera, Ben Hogan, Savane, Grand Slam, John Henry, Manhattan, Axist, Jantzen and Farah. The company also operates some brands through licensing trademarks from third parties, including: Nike and Jag for swimwear; Callaway, PGA Tour, Jack Nicklaus for golf apparel and Guy Harvey for performance fishing and resort wear.